You know what your place is missing? 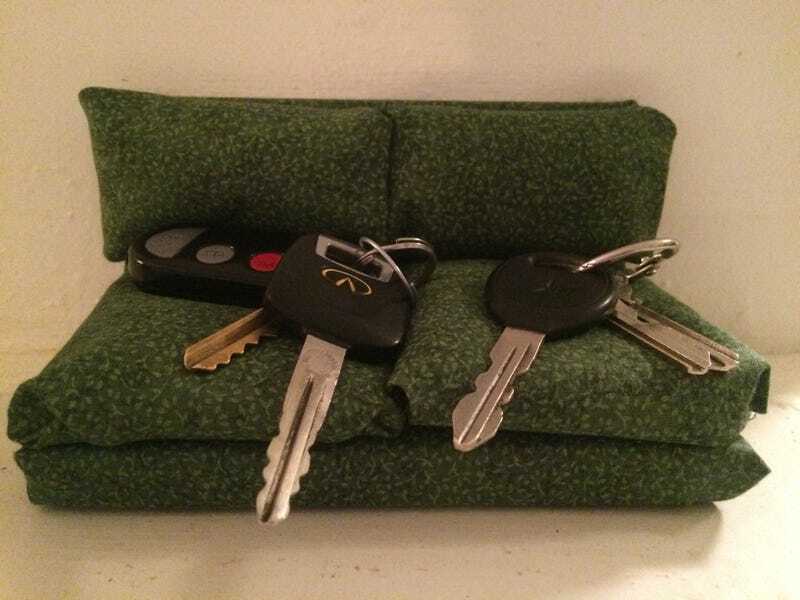 A key couch. My buddy’s sister made this for him as a gag gift for Christmas, and I think we just figured out what it’s for.